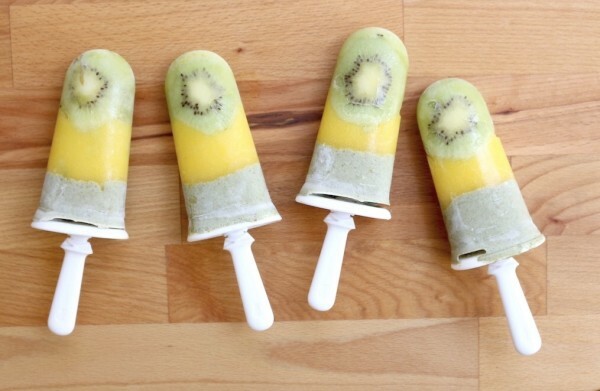 These tropical probiotic popsicles are sure to impress your friends at any summer barbecue. These tasty treats use fresh ingredients for colorful results and optimal summer health benefits. Kiwi delivers a punch of vitamin C, which helps the body with collagen production and reduces oxidative stress. Meanwhile, mango is full of dietary fiber and vitamin B6, which boosts metabolism, balances hormones, and maintains healthy skin. 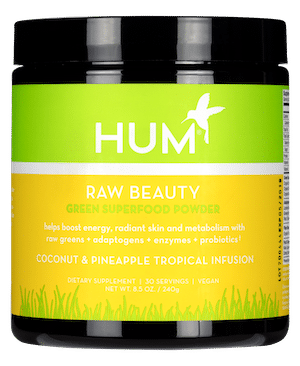 Finally, we combine coconut milk and chia seeds with our Raw Beauty Coconut & Pineapple Tropical Infusion Superfood Powder. The coconut delivers healthy fats to satisfy cravings, while chia seeds have a high level of omega-3 fatty acids that help hydrate skin, prevent acne, and protect from sun damage. To top it all off, our Raw Beauty Superfood Powder serves up adaptogens, alkalizing greens, digestive enzymes, and probiotics. Enjoy this all-encompassing feel-good treat that’ll leave you completely bloat-free in the last few weeks of swimsuit season. Mix coconut milk with chia seeds and Raw Beauty Coconut & Pineapple Tropical Infusion flavor. Set aside. Peel and slice the mango. Puree in a blender, adding water until smooth. Pour into a separate bowl and set aside. Peel and slice the kiwis. Place two slices at the bottom of each popsicle mold. Use a spoon to press the kiwis firmly against the sides. Pour the mango puree over the kiwis until they're two-thirds full. Pour the coconut milk mixture over the mango layer until popsicle molds are full. Cover with tops and insert sticks. Place in freezer for at least five hours. Tip: To remove your popsicle neatly, run the mold under warm water for a few seconds; it should slide out easily thereafter. Enjoy!